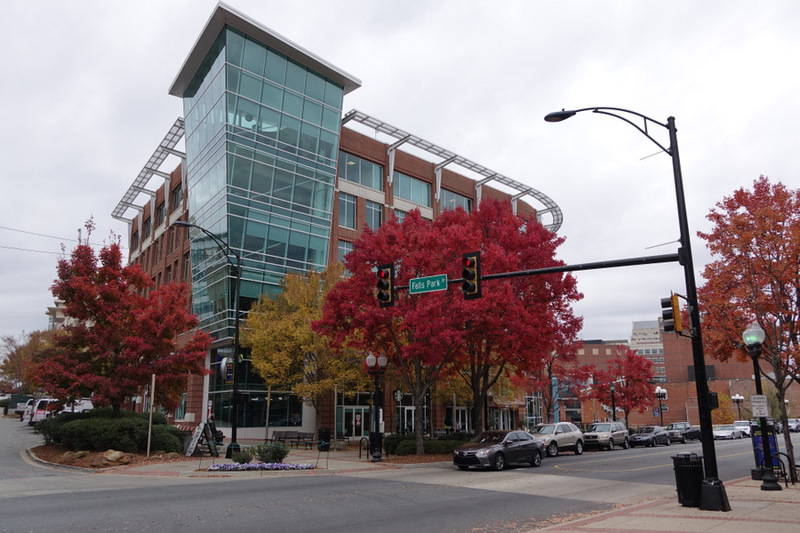 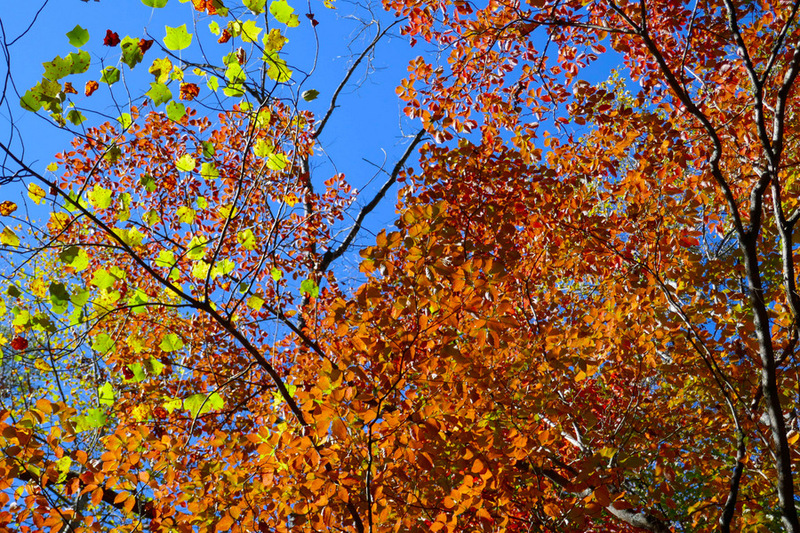 The short cold snap resulted in a few more colorful trees such as these over the Swamp Rabbit Trail. 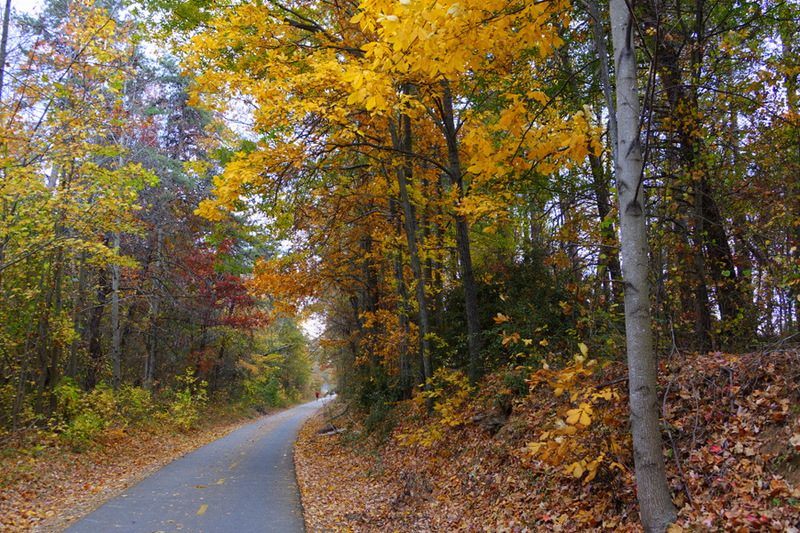 The warm introduction to Fall has created few bright leaf colors so far, but there is this group of leaves hanging over the Swamp Rabbit Trail near the Highway 25 overpass in Travelers Rest. 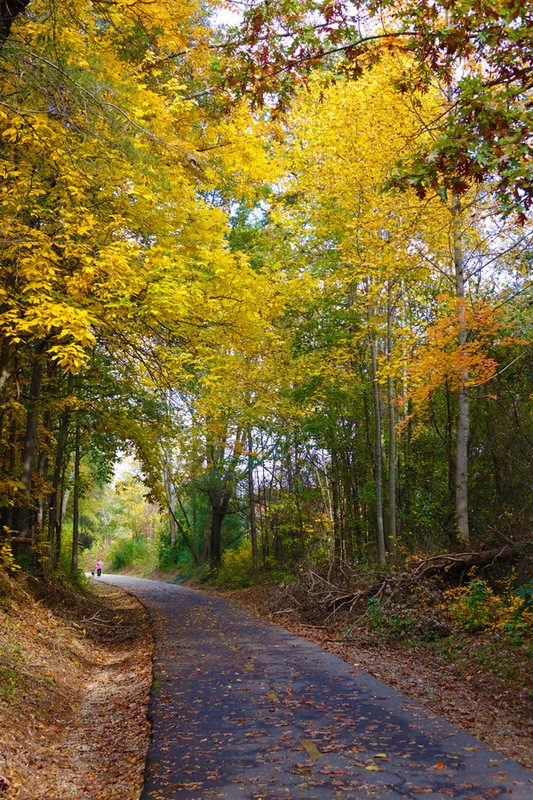 A fall view down the Swamp Rabbit Trail near Travelers Rest. 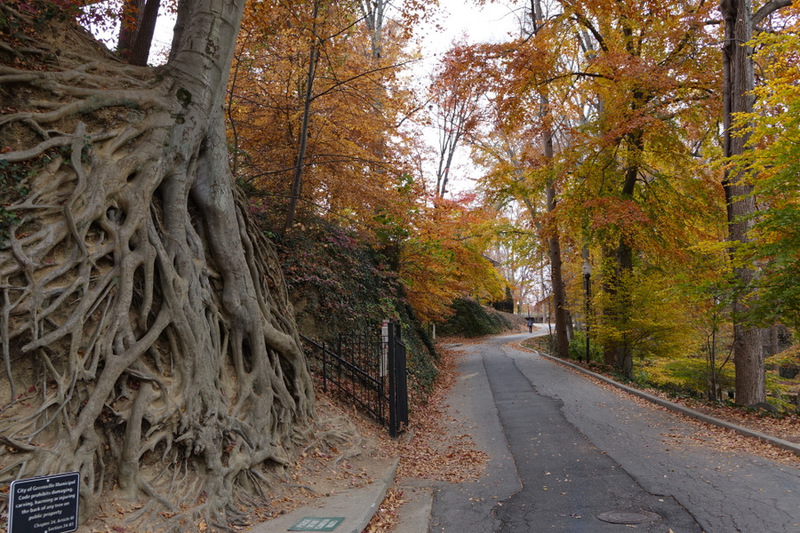 Furman College Way – Now a pedestrian road that passes by Falls Park and the ‘Enchanted tree’. 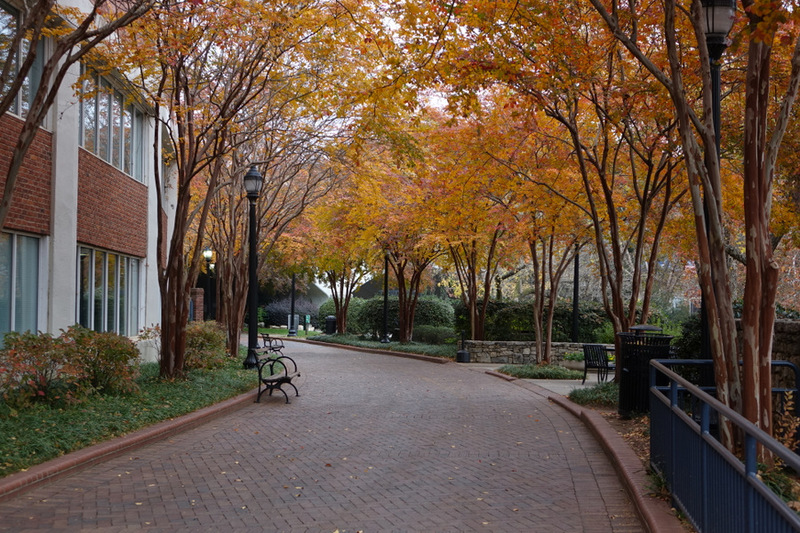 The walkway along Falls Park through the fall trees. 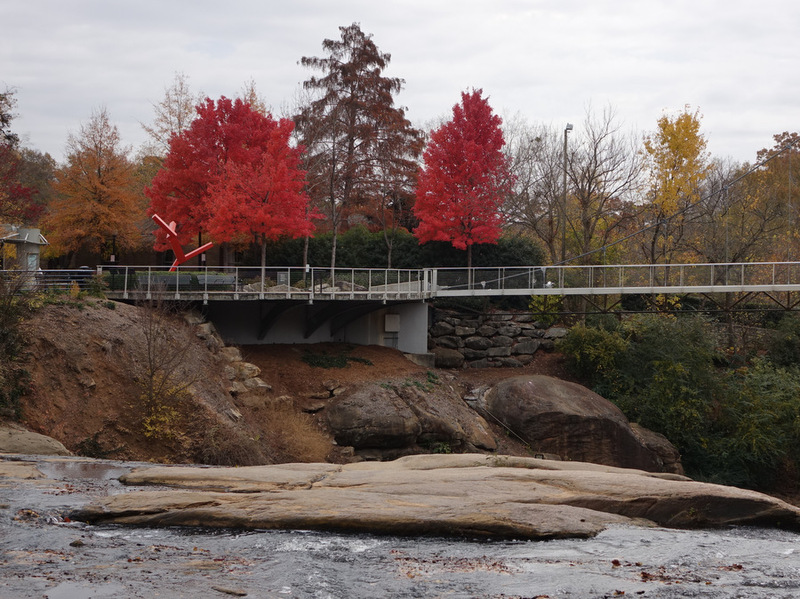 Looking over Reedy River Falls at Liberty bridge and some fall color beside the bridge. 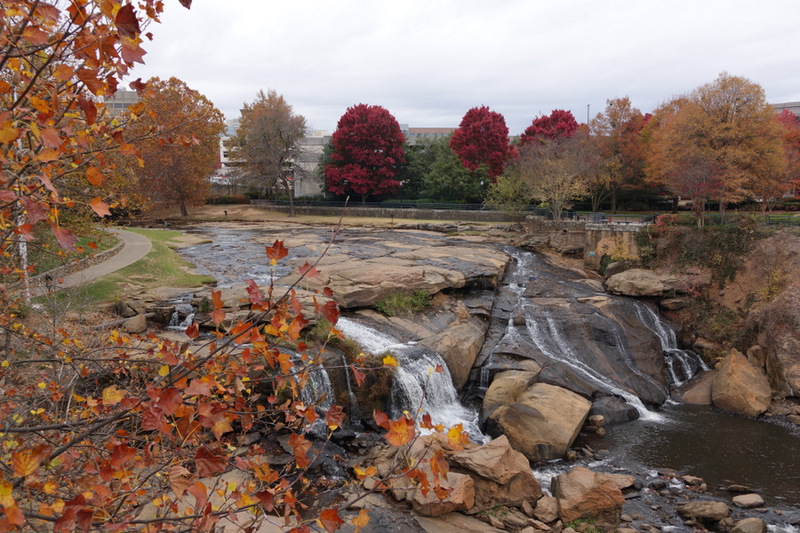 The Reedy River Falls in Falls park before the rain. 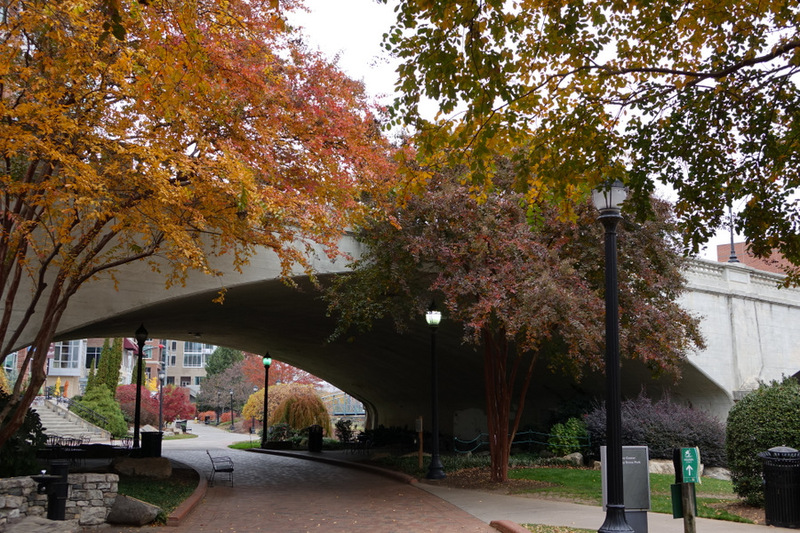 A bit of fall tree color at the corner of Falls Park Drive and South Main Street. 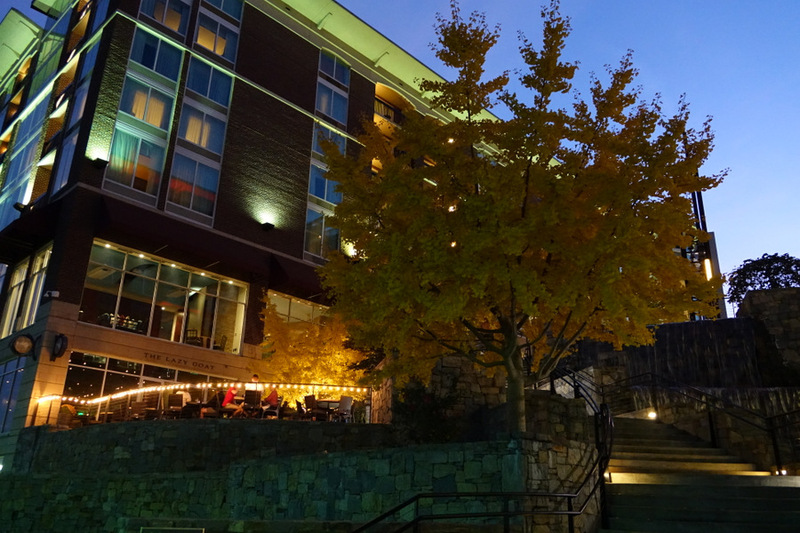 Lazy Goat outdoor dining terrace next to the colorful Ginkgo trees.